Earn $37.90 in Rewards credit (3790 points) What's This? 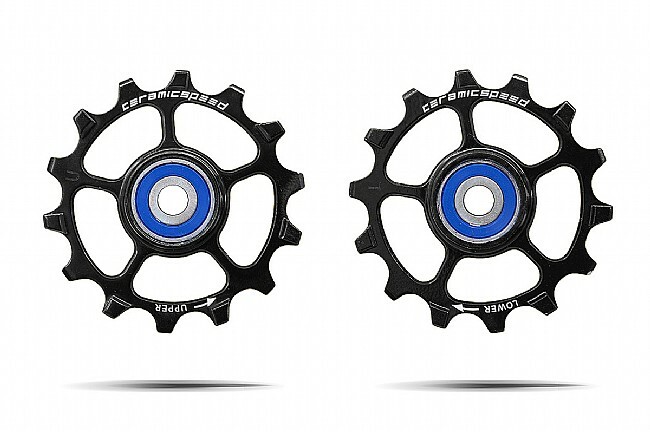 Designed to provide race precision shift performance with maximum drivetrain efficiency, the CeramicSpeed SRAM Eagle 1x12 Pulley Wheels were developed in partnership with Specialized S-Racing for optimal performance. 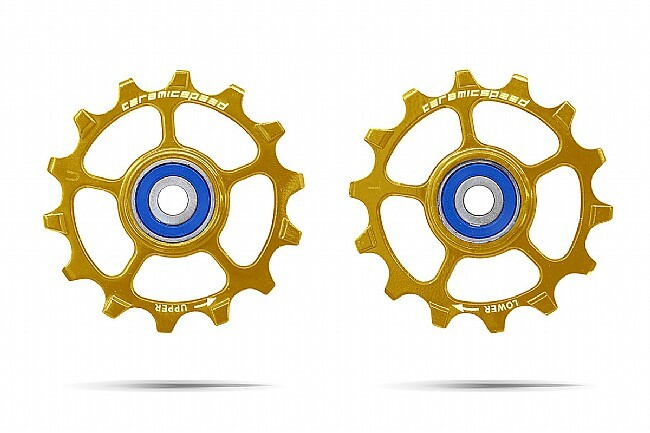 These unique pulley wheels make the ideal substitute for SRAM factory standard pulley wheels, improving efficiency by 34.4% through a unique 14-tooth narrow-wide design. The Eagle 14 Pulley Wheels are designed as a matched 14/14-tooth pulleys to obtain better shifting and less chain friction. The narrow-wide design adds further shifting performance and increased life time. The bearing race in this non-coated Eagle 14 Pulley Wheels is made of stainless steel to obtain even higher corrosion resistance and increased life time despite dirty riding conditions.